If you’ve encountered illegal or unethical activities at work, you may be facing one of the biggest challenges of your career. The decision to speak out or remain quiet can be incredibly difficult. 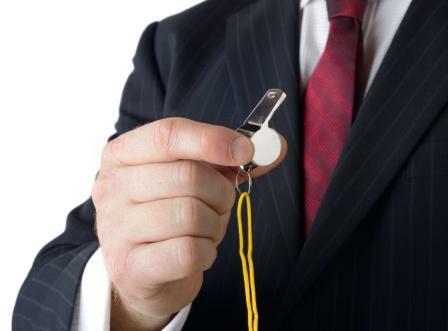 You may fear that if you blow the whistle, you will face retaliation, a hostile work environment, job loss, and an uncertain future. You have the right to speak out against wrongdoing without fear of retribution. At Lewis Kuhn Swan PC, our team of experienced attorneys is passionate about protecting the rights and well-being of whistleblowers. To learn more about your rights as a whistle blower and how Lewis Kuhn Swan PC can help, please call us today at 719-694-3000 to discuss your case for free. We help whistleblowers from across Colorado, including Colorado Springs, Pueblo, and Castle Rock. Why choose Lewis Kuhn Swan PC for your whistleblower case? Under federal law, you cannot be fired, demoted, or otherwise adversely treated for reporting discrimination, harassment, or other illegal activities at your place of work. In addition, you cannot be retaliated against for refusing to engage in illegal activities at work. Examples of whistleblower cases cover a wide range of potential situations, from sexual harassment and discrimination to accounting irregularities and government fraud. 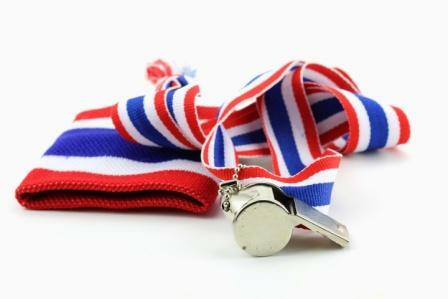 Some of the most common examples of whistleblower cases are listed below. A hostile work environment is often associated with sexual harassment cases, but it can result from a variety of unwelcome actions that make the workplace atmosphere offensive, hostile, or intimidating. Unwelcome conduct that creates a hostile work environment can be made by supervisors, co-workers, contractors, customers, or anyone else you may interact with while on the job. Discrimination may be direct or indirect, intentional or unintentional. It can manifest in the form of jokes and offhand comments that may seem harmless or even go unnoticed by the perpetrator. The health and safety conditions of your workplace are among the most important factors of your job and well-being. Unfortunately, many employees fear discrimination or retaliation in response to reporting a potential or known safety violation. The list above is only a sample of actions that could qualify as workplace retaliation. Any action taken by your employer that negatively affects your work environment, or current or future employment status, can be considered workplace retaliation. As with federal law, Colorado law prohibits termination based on an employee’s protected status, such as race, religion, national origin, disability, gender, marital status, sexual orientation, or gender orientation. The False Claims Act (FCA) allows whistleblowers to bring lawsuits against individuals and companies that defraud the federal government. These particular types of lawsuits are referred to as “qui tam” actions. In qui tam cases, whistleblowers are usually awarded between fifteen and thirty percent of the total recovered amount. Percentages in these cases are determined by several factors, including the significance of the whistleblower’s contribution to the case and the involvement of the Justice Department. In some cases, this can result in a multi-million dollar award for the whistleblower. Whistleblowers have become an indispensable component of anti-fraud enforcement in the United States. Every day, honest workers discover they are employed by or interfacing with corrupt companies. The FCA provides the ability to expose fraud that would otherwise never be detected by law enforcement. Simply put, whistleblowers are important. Choosing an inexperienced attorney: Whistleblower cases are incredibly complex and demand the skills and knowledge of an experienced lawyer. Be sure to check your attorney’s record of success and choose a lawyer you can trust. At Lewis Kuhn Swan PC, our attorneys have built a reputation for exceptional, detail-oriented counsel and successful outcomes. Discussing your case with anyone but your attorney: Whistleblower cases are particularly sensitive suits, and should not be discussed with anyone but your trusted legal counsel. This includes mentioning details on social media platforms, because public discussion can harm your case. Not acting soon enough: Acting in a timely manner is critical to most legal actions. With qui tam cases in particular, timing can be everything. If your qui tam lawsuit is not the first one filed regarding a specific situation, it will likely be dismissed. Why Choose Lewis Kuhn Swan PC for Your Whistle Blower Case? We will confidentially review the details of your case to determine whether any whistleblower laws apply and advise you of your legal rights and appropriate courses of action to consider. Our attorneys have a distinguished track record, both in and out of the courtroom, of achieving the best possible results for our clients. When you choose Lewis Kuhn Swan PC, you can expect the highest level of skill, tenacity, and integrity. To find out more about your rights and the merits of your whistleblower case for free, please call Lewis Kuhn Swan PC today at 719-694-3000. We proudly serve the Colorado Springs, Pueblo, and Castle Rock areas of Colorado.